Authors: B.J. Holler, S.N. Milam, J.M. Bauer, et al. However, in today’s post we’re going to take a slightly different angle: we’ll be looking at a white paper that’s recently been published, discussing the potential of the instrument for Solar System science. There are a huge range of solar system applications for the instrument, and today’s bite will be by no means exhaustive. We’ll be going on a whistle-stop tour of some possible science projects and just begin to whet your appetite for the exciting Solar System science WFIRST might carry out. Firstly, let’s discuss planets: WFIRST will be able to carry out careful spectroscopy of the atmospheres of giant planets. This will allow identification of absorption features, and time domain measurements that will be able to study winds, clouds and storms on the planetary surfaces. As well as shedding light on our own planet-neighbours, planetary meteorology will help inform the study of nearby exoplanets. In particular, NASA are considering flagship missions to either Neptune or Uranus, planned to launch in the late 2020s or early 2030s, and arrive a decade later. WFIRST studies of the planetary surfaces, storms, atmospheres and clouds might help to develop mission goals for these projects. The disks of Uranus and Neptune will cover 34 and 21 pixels on the detector, respectively, which will allow the latitude and altitude variations of the atmosphere to be studied. Finally, it doesn’t really belong in the planet paragraph – but Pluto will be moving away from the Sun though the 2020s, and WFIRST spectroscopy will allow an analysis of how Pluto’s atmosphere changes as it moves towards the far reaches of the solar system. Spectroscopy of the moons around giant planets will also be possible: for example, this will allow more detailed analysis of the volcanic regions on Io. The instrument will also allows study of small, irregular satellites orbiting the giant planets. Understanding these objects helps to contribute to the theories of formation and evolution of the solar system, by determining whether they have been captured into the Solar System, or formed in situ. WFIRST will find satellites as small as 0.3, 1.0, 4.5 and 11.4km around Jupiter, Saturn, Uranus and Neptune respectively. For reference, the smallest known satellites around these planets are 1, 0.3, 18 and 20km respectively – note that the particularly small satellite around Saturn was discovered with Cassini, a mission sent to orbit Saturn which is sadly about to plunge to its death. The origin of the Jupiter Trojans, a set of asteroids sharing Jupiter’s orbit, is currently up for debate. In fact, there appear to be two different populations of Trojans: two different compositions have been identified for these bodies. As such, it is even possible that there are actually two different origins for these asteroids. Better measurements of the colors of these objects will help answer the debate about whether these Trojans were formed in situ, or were captured and trapped into orbit with Jupiter. 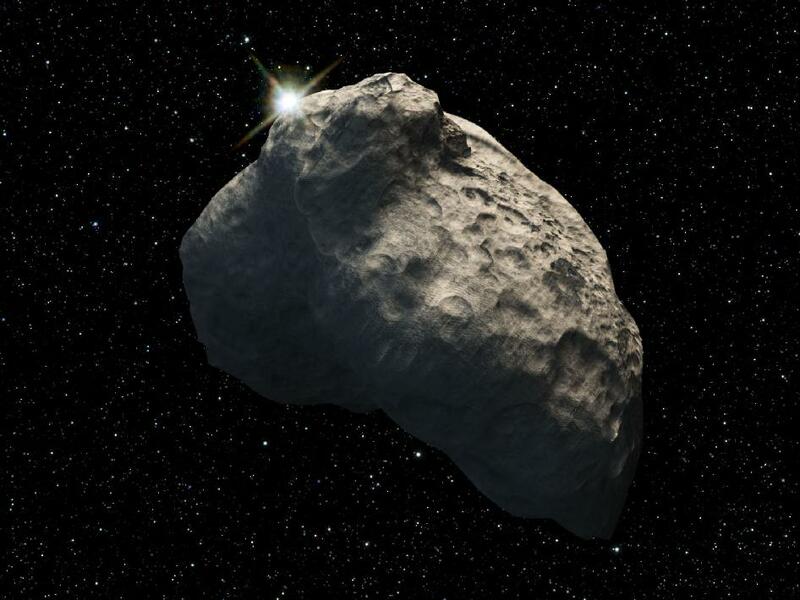 Current information suggests that they have similar colours to Kuiper belt objects, implying that they have been captured, but more data will help to confirm this – or equally, may throw up something completely unexpected! Meanwhile, the discovery of new binary Kuiper Belt Objects will place constraints on the total mass of the Kuiper belt: binaries are particularly good for these studies since the orbit of the binary places tight constraints on the masses of each binary member. Another area of interest is occultation science: data can be collected while a solar system object passes in front of a distant background star. This can allow determination of the size, albedo, and shape of small solar system objects (asteroid, trojans, Kuiper belt objects). Occultations can also be used to study planetary atmospheres, by looking at the transmission spectrum of the background star through the planet. In addition, serendipitious discoveries can be made if a previously unknown object passes in front of a distant star. These come with a caveat though: follow-up observations are almost always impossible, and so there is a limit to how well these objects can be characterised. Finally, the instrument will have a large number of synergies with other instruments, such as JSWT and the LSST. Since JWST and WFIRST will both be orbiting at the 2nd Lagrangian point, but have different restrictions as to where in the sky they can be pointed, using the two instruments in parallel will allow more complete coverage of the orbit of solar system objects. WFIRST will also identify new minor bodies, and the brightest of these can then be passed to JWST for detailed spectral observations and characterisations. New discoveries of local objects made with the LSST could also be quickly followed up with WFIRST, and characterised in more detail. After listing all of these fabulously exciting scientific ideas, the white paper also makes five key requests for the mission design. Firstly, a higher tracking rate would help with the study of fast moving objects. WFIRST is currently limited to 30mas, or one one-hundred-and-twentieth of a degree, per second, which is just enough to track the movement of Mars. Anything going faster than this will be smeared out across the detector. This excludes observations of 50% of long-period comets, and the authors would ideally like to see this limit doubled – but note that any increase would help with solar system science! Secondly, they request a K band (2-2.4um) or Ks band (2-2.3um) filter. This allows better analysis of the colors of faint objects, where spectroscopy is not practical. The other three requests are about the way observations are managed: the authors would like to be able to apply for parallel observations with different instruments, to help in the detection of minor objects. They ask for so-called “target of opportunity” observations, where the telescope is very quickly pointed at a newly discovered object – this means that the objects don’t get ‘lost’ before their orbits have been fully characterised. Finally, they ask for large programs. 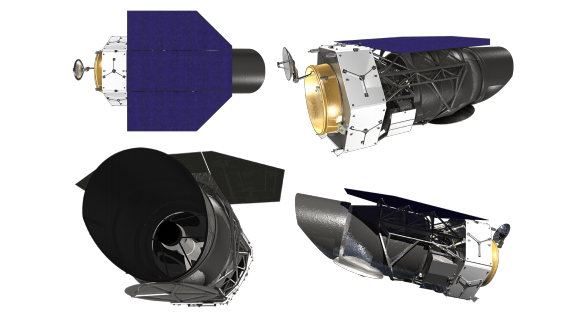 These programs, which are currently available on HST and Gemini and will be made available on JSWT once it launches, would allow the largest and most comprehensive surveys to be carried out. Of course, these requests are always a juggling act with several different teams of scientists asking for slightly different instrument specifications. I certainly don’t envy the people making the decisions as to which science to enable, and which science they’ll sadly have to cut! An Overview of the Extreme Solar Systems III Conference Recap of the IAU Planet Formation Symposium 14 New Kuiper Belt Objects in the Southern Sky Like a Captured Stone: How did Pluto Settle in its Peculiar Orbit?